When mold or other problematic biological substances are present in the home, inhabitants and visitors can experience a range of symptoms from itchy or dry eyes to more severe issues like bleeding lungs. Hidden mold, especially black mold, can have devastating health effects, and for this reason home buyers and home sellers must be diligent about mold inspection and microbiological testing. Residential Home Inspection offers a variety of Mold and Microbiological Testing to identify any need for mold remediation, or other corrections and ensure your home is safe. This page explains the most common testing methods and offers a few reasons for choosing RHI for your upcoming inspection. The Air-O-Cell cassette is a single-use device designed for the rapid collection and analysis of a wide range if airborne particles. These include fungal spores, pollen, insect parts, skin cell fragments, fibers and other inorganic particles. The cassette is designed to operate at a flow rate of 15 LPM (liters per minute) air flow. Lower rates may result in a collection loss of some spores and the accumulation of others in a non-uniform manner. Therefore it is critical to run the sampling pumps at the manufacturer’s recommended air flow rate. Residential Home Inspection’s highly qualified inspectors know exactly how to operate the Air-O-Cell technology for reliable results. A direct exam allows for the rapid determination of the presence of fungal spores as well as identifies the types of fungi. Direct examinations should only be used to sample visible mold growth in a contaminated area since most surfaces will have a deposit of fungal spores that are normally present in the environment. The ERMI is an acronym for Environmental Relative Moldiness Index. It was developed by scientists at the EPA to provide a straightforward, objective and standardized way to obtain results for indoor air quality investigations. 36 different fungi make up the ERMI and are designated as Group I (those found in typical, water damaged homes) and Group 2 (those found in all homes). The EPA has developed an ERMI ranking system based on dust samples collected from across the United States. The ERMI helps predict the moldiness of homes. Homes with high ERMI values have a greater chance of having a mold problem than homes with a low ERMI. For residential sampling, the EPA recommends taking a living room and bedroom sample as a composite using the same vacuum dust collector for both rooms. Other areas should be sampled separately. RHI inspectors follow this recommendation every time. All water samples are taken in a sterile sampling container and de-chlorinated with sodium thio-sulfate. Chain of Custody: RHI uses a Chain of Custody Form to insure your samples do not get intermixed at any juncture of the sampling and testing process. Nationally Accredited Lab: By working with a nationally accredited lab for testing, RHI promises reliable results. 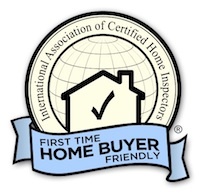 Certified Inspectors: Our certified Home Inspectors are trained to understand the tools and technologies used in mold testing and microbiology sampling.